April 29th was the date of its last of seven community meetings MAAE attended and helped organize in 2017-2018. The purpose of each meeting was to create or strengthen the links between communities and their local schools and to discuss new advocacy opportunities. The hosts of each meeting were local community arts organizations, and in some cases the meetings piggybacked on student art exhibits that were already planned. We are so grateful to our hosts and to the community and school teachers who were involved. 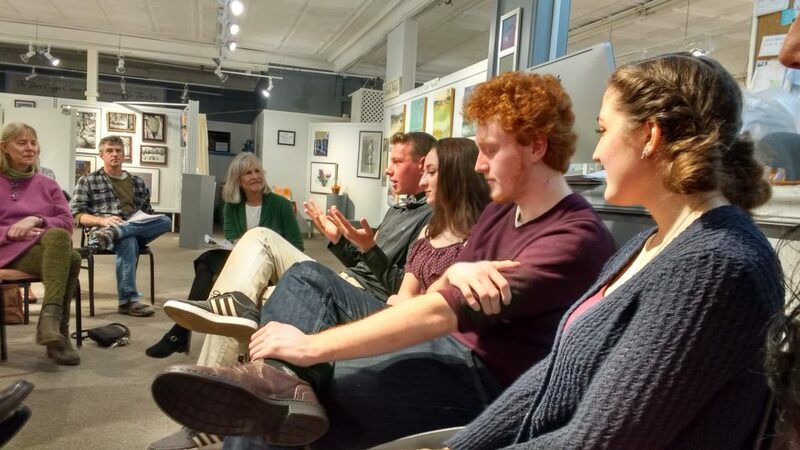 Each meeting was different, depending on the individual community… but at each one arts students were involved, whose work and voices about how important the arts are to them were inspiring to the community. MAAE also had the opportunity to speak about its statewide advocacy campaigns and to sign people up for emailed advocacy alerts. 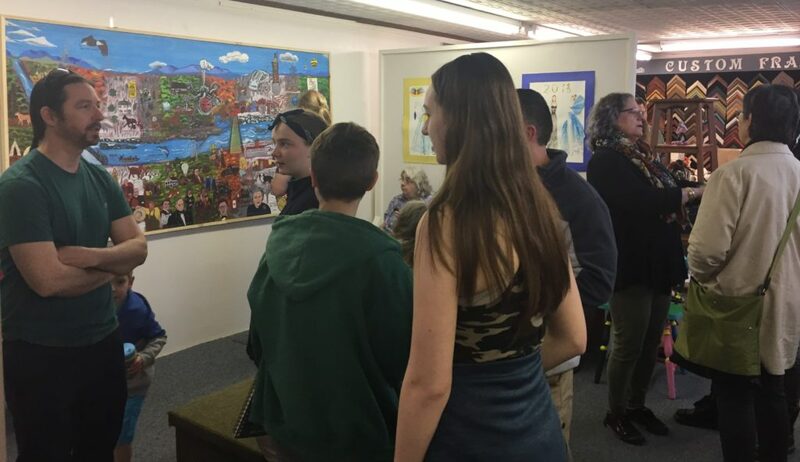 Augusta area – April 25, hosted by UMA Art Department at the Jewett Gallery as part of its annual Higher Forms of Art HS art exhibit. Interested in organizing an advocacy meeting in your community? MAAE would be happy to help. Over the summer the legislature passed, and the governor signed, the amendment to LD#1666 that allows Maine school districts to choose whether to use a credit based or a proficiency based system for graduation requirements. There are continuing discussions at the state level about some of the details involved in each choice and many districts are still choosing. We will try to keep you informed as further decisions are made, especially if they have implications for the arts. But two thing are clear: no matter what choice districts make, the process of even working towards proficiency-based education has had a positive impact on connecting arts teachers with each other and with the teachers in other fields, giving them time together to discuss how we measure student progress and design assessments. This communication among teachers about creative ways to assess can and should continue no matter what choice districts make. Secondly, beyond allotting the time for teachers to communicate together, all school districts will continue to exercise control over the amount of arts education each district offers and requires of students beyond the minimum required by each choice. Since it is the school board in each district that will be ultimately responsible for these and other decisions that impact the quality of arts eduation in our schools, it is crucial that the members of the board in each district recognize the importance of arts education itself. This means they need to be informed about the good work that you all are doing… beyond seeing the exhibits and performances. They need to know what is going on behind the curtain, and need to hear directly from you – and your students! – how important the arts are to those students. If you’re an arts educator, we hope to also post voices from you and your students describing your experiences and whatever advice you may want to impart. If you’re a community arts supporter we want to hear your advocacy thoughts and experiences as well. Contact us at spotters@maineartsed.org. Go to a meeting or two to get the feel of it and learn more about what happens and who’s on it. Learn more about what the issues have been and who supports what.